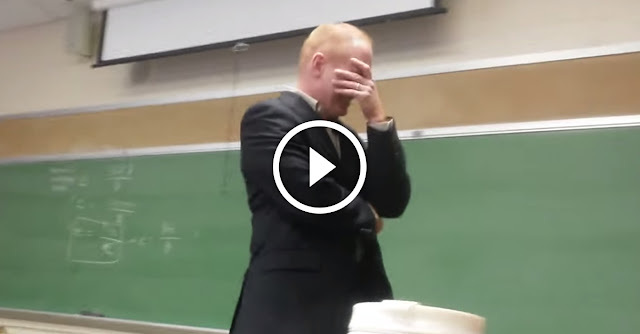 Microeconomics professor at Aquinas College in Michigan received the best April Fool’s prank I’ve ever seen. The professor had a class rule…if you receive a phone call during class you must answer it on speaker phone. Well, it definitely backfired and it’s hilarious! See the video above and get ready to laugh.